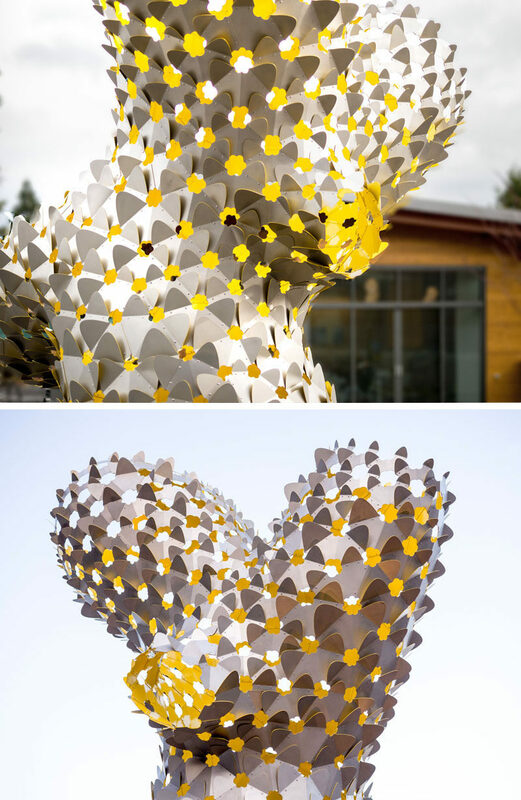 Los Angeles based artist Rob Ley, has created ‘Ambiguous’, a new modern sculpture that sits in front of the Education Center at Oregon Zoo in Portland. 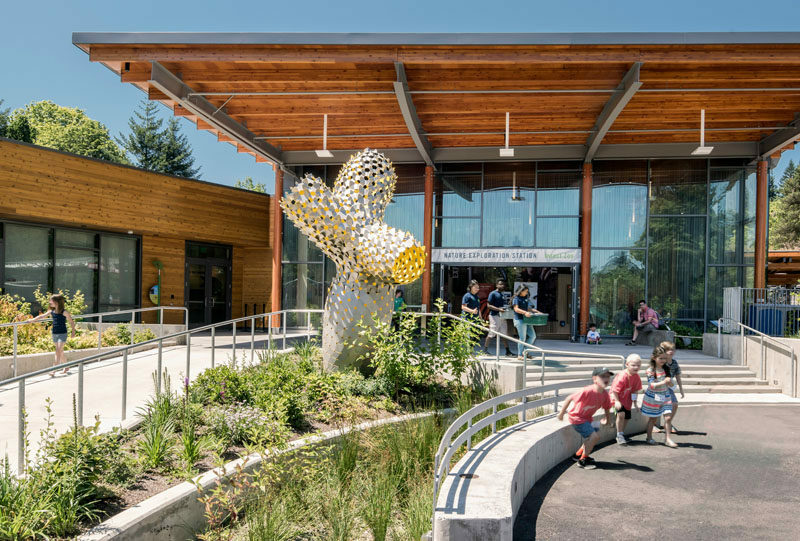 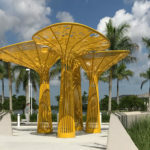 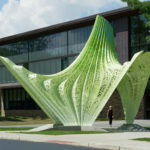 The conceptual approach for this public artwork is based on the Education Center’s interpretive theme that “small things matter,” particularly how many small parts contribute to a whole. 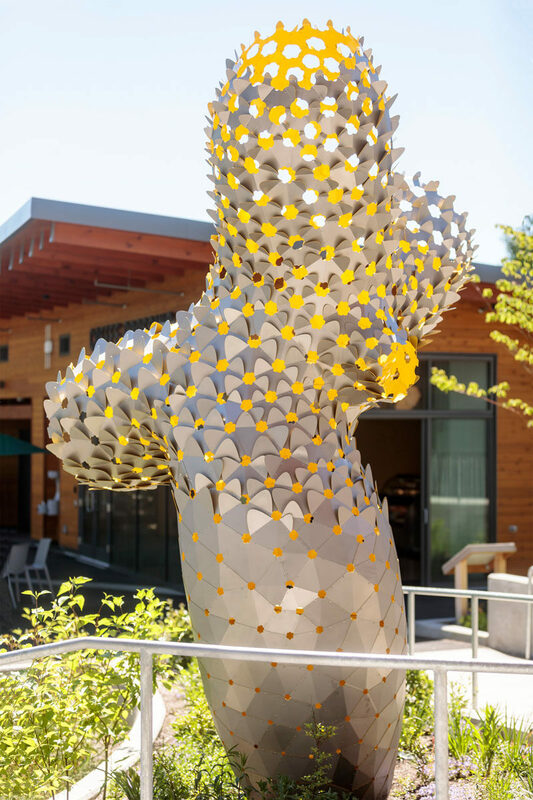 The sculpture is composed of hundreds of small bow-tie shaped elements with unique-angled bends and rivets that turn the separate pieces into a singular, monolithic form. 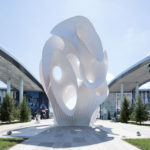 From a distance, the sculpture is seen as a one large form. 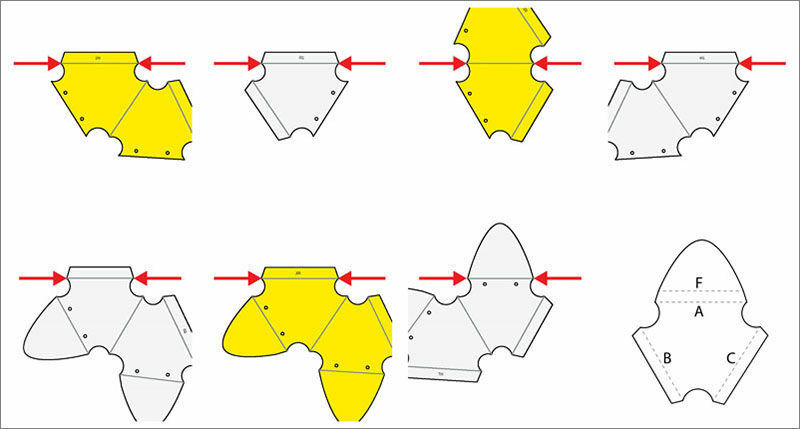 However, when viewed closer, it’s seen as many small pieces coming together to create a single unit. 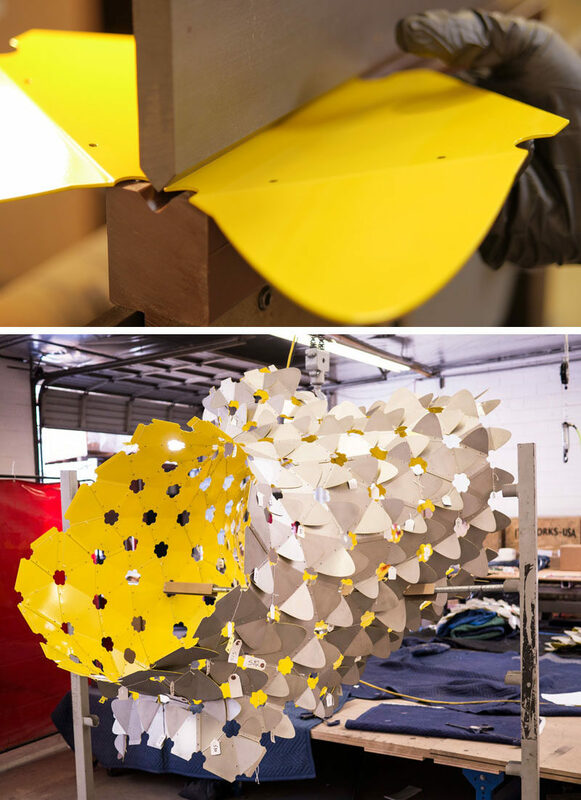 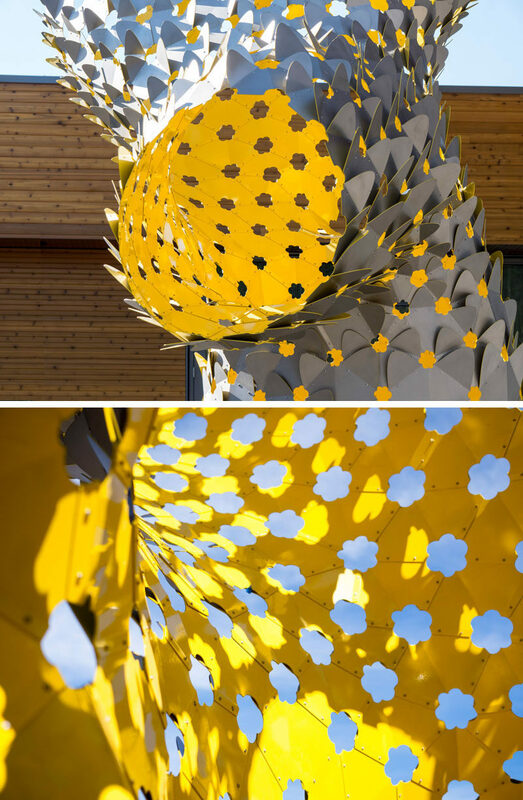 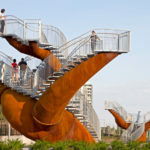 The sculpture is created entirely from bead blasted stainless steel, with a yellow powder-coated interior surface.